Walking those mean LA streets with Sam Spade, dashing through fog-bound Victorian London with Holmes and Watson, or negotiating the drawing rooms and murder scenes of 1930s Mayfair with Hercule Poirot, the reader of detective fiction is transported to times past. So closely identified are these detectives with their period that it is sometimes difficult to recall that, when they were written, these stories were set in roughly the present day, contemporaneous with writing. Not so a newer brand of detective novel ( though not so new, see later ) which places detectives in times past. From Classical Athens, through Rome – Republican and Imperial – to medieval monastery and Tudor court, the historical mystery business is booming. The Crime Writers Association even has a special gong for the category the CWA Historical Dagger ( formerly the Ellis Peters Historical Dagger ) established in 1999. As an aside, I was amused by the CWA website carrying the news of one winner under the banner ‘Who Wunnit?’. The detective novel is, itself, a relatively modern invention, though the mystery story, like the ghost story, has ancient antecedents in myth, legend and storytelling. 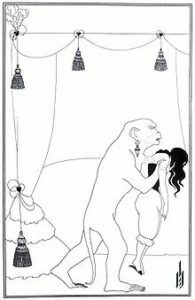 Edgar Allan Poe’s Murders in the Rue Morgue (1841) is widely considered the first of the modern genre, closely followed by Wilkie Collins’ The Moonstone (1868) but these too were set contemporaneously. The earliest example of historical detection could be said to be the Uncle Abner stories, written by the American Melville Davisson Post from 1911 onwards and set in antebellum West Virginia, some 60+ years before. There was a brief fashion in the 1940s for historical detection, with the Queen of Crime, Agatha Christie, writing Death Comes as the End, set in ancient Egypt (not one of her finest) and the U.S. writer Lillian de la Torre turning Dr Johnson and Boswell into detectives in The Great Seal of England. But it is in the later twentieth century that the genre really takes off, primarily with Ellis Peters’ Brother Cadfael novels, subsequently dramatised for television, but beginning in 1977 with A Morbid Taste for Bones. 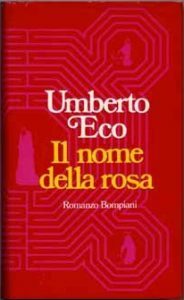 A rather more cerebral, and more referential, historical detective, William of Baskerville, appeared, for one time only, three years later in Umberto Eco’s The Name of the Rose (1980). I remember reading the first Brother Cadfael and finding it unusual and engaging ( and local, I was living not far from Shrewsbury at the time ). 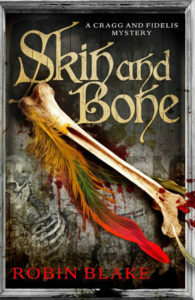 Four or five books in, however, I lost interest, as the plots became more repetitive and the character types reappeared. Keeping a series new and fresh is an ongoing problem with which I can sympathise, but it must be especially difficult if your sleuth is tied mainly to one place and that a rural town. The genre has been expanding ever since. 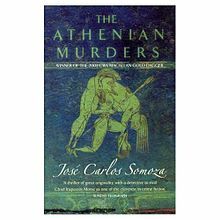 I have read about detection in Ancient Greece, enjoying The Athenian Murders(2000) by Jose Carlos Somoza. In Ancient Rome there is Stephen Saylor’s Gordianus series in the late Republic and the Falco series in the Flavian era. C.J.Sansom’s Matthew Shardlake operates in Henry VIII’s England and, even more recently, Giordano Bruno (a real person, executed by fire in the Campo dei Fiori in Rome in 1600) in his daughter’s. Victorian sleuths abound, I most recently read M.J.Carter’s Blake and Avery mysteries (she was one of the writers at last year’s Clapham Festival) set during the heyday of Empire and I am about to venture into eighteenth century pre-industrial Preston with Robin Blake’s Cragg and Fidelis duo in Skin and Bone. Robin is one of the writers on ‘my’ panel event at 3.30 on 6th May. Everyone has their favourite and the writers of these novels definitely have dedicated fans. It seems that, in the age of the DVD boxed set, we ‘binge read’ as well as ‘binge watch’. Once one book is finished we can’t wait to pick up the next, just what publishers (and ill-paid authors) like. Though it has its own problems. Lindsay Davis, author of the hugely popular twenty book Falco series, deliberately inserts at least one ‘Lindsayism’, an amusing anachronism or similar, in each novel for her readers to find. She no longer writes novels about Marcus Didius Falco, having moved on, albeit to a younger Roman detective. This entry was posted in Books and tagged Books by juliej. Bookmark the permalink.